29 up front - 26 in da rear! I look at my traffic from around the world and the US and I noticed that North Dakota is not represented on the map of visitors in the last 30 days. Check out their site... They have a collection of bike blogs from in and around Boston. 6. All light focuses only on those area needed. Spring is here, Bike Month is just around the corner. Why not join 30+ businesses from around Columbus by registering your office for a little friendly competition, the 2009 Commuter Challenge. Is this a race? No. I don’t care for spandex. That’s OK. Do I need a bicycle? Well, yeah. Who can replace the most automobile commutes with bicycle commutes? Points are awarded based on the number of trips per capita. Long and short rides, fast and slow rides: they all count the same. There are 5 categories based on company size (1–19, 20–99, 100–499, 500–999, 1000+). The 2009 Commuter Challenge will run for two weeks this year: May 4 - May 15, so mark your calendars. On Friday, May 15 all participants will be encouraged to converge on downtown Columbus for a lunch and award ceremony. Consider hosting a brown bag lunch meeting for those interested in trying bicycle commuting for the first time. Email biketoworkweek@gmail.com to schedule a time for a presentation at your workplace about Bike-To-Work Week Events coming up in May. Invite your friends to create Challenge Teams in their office: neighboring employers, friends and neighbors. Please forward this email along. We need your help with this! Check with your employer about being a sponsor for the Challenge Awards lunch on May 15. This can be in the form of a tax deductible donation to 501(c)(3) Consider Biking. We need $2500 to cover the lunch for all participants. Can you pitch in? The point of all of this is to promote active transportation in Columbus. Let’s get out of our car onto a bike. Chances are if you try it for a week, you won’t want to go back. It’s a movement that will make our city more livable, more attractive and more fun. 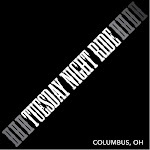 For more information about Columbus Bike-To-Work Week activities, go to the website: http://columbus.b2ww.org (website updates are coming soon). I look forward to hearing from you with your registration and questions. Please feel free to forward this message to others. "Life is too short for a man to hold bitterness in his heart." A hundred years ago, when bicycle races drew crowds that filled Madison Square Garden, the biggest draw of all was Major Taylor. The New York race promoters who signed 19-year-old Marshall W. "Major" Taylor to their team in 1898 knew that fans would flock to see "the Worcester Whirlwind" compete. They also knew that controversy surrounding "the Colored Cyclone," whose star was rising in muscular defiance of the Jim Crow segregation permeating the sport, was sure to generate headlines. And any kind of publicity would be good for the box office. Today, Taylor's name is still an attraction. When the Seven Hills Wheelmen bicycle club of Worcester renamed its annual 100-mile ride the Major Taylor Century in honor of the 1899 world champion who lived here, the ride's appeal was suddenly extended. A preliminary investigation indicates a Houston Fire Department ladder truck ran a red light before colliding with a pumper truck in a Montrose intersection Monday morning, a Houston Police Department spokesman said today. Both trucks were en route to what had been reported as a possible fire in the 2100 block of San Felipe when they crashed at Westheimer and Dunlavy minutes before 11 a.m. Before overturning and coming to rest on a four-door Infiniti, the ladder truck struck a bicyclist and snapped an electric pole and tree. The collision injured 11 people, the bicyclist critically. Roughly 20 people showed up. We headed north and hit Lane. North on Indianola to Morse. Morse down to High. High north to Rush Creek. We had several people head home at that point. Back over to High and south to High Beck. 19 miles. Averaged 14.5mph. No mechanicals. No drama. XPS competition or just a local, hard-core multisport enthusiast ready for a unique endurance experience...XTERRA O.N.E. has a challenge for you! In New York life is fast. The quickest way to travel is by water or through the air. In Manhattan things are a little different. The fastest way to travel is by bike. After 9/11 Manhattan was put to a safety alert and a lot of changes were made. This really obstructed the job of the bike messengers which made their future uncertain. Nowadays the messengers are back in business with over 100 bikers a day. Winston talked to experienced bike messenger Lou. Lou bikes around Manhattan for over 80 kilometers a day. His job is to deliver packages around the city by bike. This job is not always without danger, because he got hit by a car once. Luckily he didn’t got hurt. A funny fact is that Lou suffers 20 flat tires a year. After 9/11 in 2001 Manhattan put the city on a safety alert. This made the job of the bikers a lot harder to do. After a few years of struggling, the messengers are back in business and they make sure all packages in Manhattan reach the right destination every day. Peter White Cycles is now the exclusive US supplier for many high quality Weapons of Mass Destruction. With the demise of Saddam Hussein's Iraqi government, WMDs have inexplicably become hard to find on the world market. As an experienced importer of many high quality consumer products, we feel we are in a position to supply your WMD needs at competitive prices without compromising our high standards of customer service. While others are having difficulty locating reliable sources of WMDs, we believe it's a simple matter of knowing where to look. And, well, of course, where not to look. Due to federal regulations, payment for all WMDs must be made through our bank in Nigeria.